The new South African Coat of Arms was launched on Freedom Day, 27 April 2000. A national Coat of Arms, or state emblem, is the highest visual symbol of a country. In South Africa the Coat of arms is also a central part of the Great seal, the country’s supreme emblem of sovereignty, representing the authority of the Head of State. Traditionally, a national coat of arms consists of elements and symbols that are a representative of a country’s culture and its people. Examples are flora and fauna, cultural symbols or artifacts, natural phenomena or a motto, to name but a few. South Africa’s new Coat of Arms highlights its change to true democracy and a new sense of patriotism. But a Coat of Arms is more than just a visual reflection of a country’s different aspects. It carries much greater significance when it becomes the mission statement of that country, a graphic illustration of its hopes and aspirations. 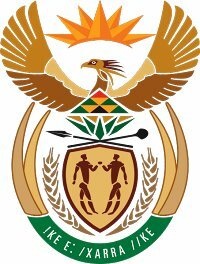 This more abstract symbolism is to be found in the design and symbolism of the new Coat of Arms of South Africa. 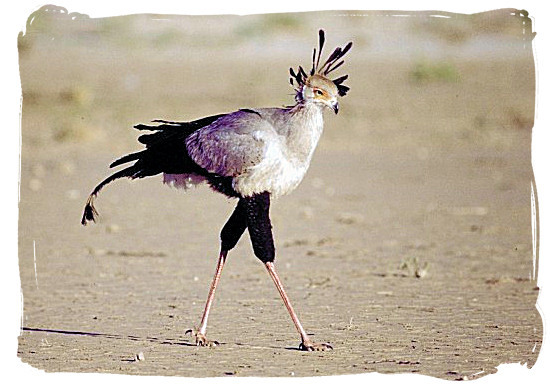 A focal point of the coat of arms is the indigenous secretary bird with its uplifted wings, crowned with an image of the rising sun. The sun symbolises a life-giving force, and represents the flight of darkness and the triumph of discovery, knowledge and understanding of things that have been hidden. It also illuminates the new life that is coming into being. An indigenous South African flower, the Protea, is placed below the bird. It represents beauty, the aesthetic harmony of the different cultures, and South Africa flowering as a nation. The ears of wheat symbolise the fertility of the land, while the tusks of the African elephant, depicted in pairs to represent men and women, also represent wisdom, steadfastness and strength. Its upper part is a shield imaginatively represented by the Protea. Contained within the shield are some of the earliest representations of humanity. Those depicted were the very first inhabitants of the land, namely the Khoisan people. These figures are derived from images on the Linton Stone, a world-famous example of South African rock art. The motto on the coat of arms, "!ke e:/xarra//ke", written in the Khoisan language of the /Xam people, means "diverse people unite" or "people who are different joining together".